I’ve mentioned before that I totally dork out about high quality construction. I may or may not have binge watched all of the “Tailors Tips” videos posted by Vitale Barberis Canonico on YouTube. If you haven’t seen them you really should because they’re amazeballs. I also just took two classic Tailoring courses on Craftsy and, of course, there was my über exciting purchase of a vintage copy of Vogue Sewing at the end of the summer which I ate up. Even though I am now barreling into year three of not purchasing clothes from retailers and I go on and on about how unethical the fashion industry can be, there is one company that I will always defend: Hermés. Now, to be fair, I honestly didn’t know THAT much about Hermés until a few years ago. I just kind of lumped it in with other “prestige” brands that people buy just because of the name. I was so wrong to do that. So, so, so wrong. As it turns out, there’s a reason why Hermés leather goods and scarves are so expensive. It’s because they’re made by hand. Now I’m NOT a prestige brand person. I bought a Rioni handbag years ago that is basically a budget version of a Louis Vuitton speedy bag. I LOVE my bag and am more than happy to not drop thousands of dollars on something mass produced, which LV is despite their hefty cost. That, being said,the one thing I have coveted from Hermés despite the high price tag is one of their famous silk scarves. Every one of Hermés’ silk products are created in France by one of 700 highly trained silk dye artisans. They are painstakingly screen dyed, cut, and finished all by hand. For someone like me who totally freaks out about quality construction, keeping artisan methods alive, and ethical working conditions, an Hermés scarf is basically an embodiment of everything I stand for when it comes to my views on fashion and I have been pining for one for years. Isn’t it amazing?! It actually come in 7 colors but I think the black is the most stunning. WTF?! You want to drop how much on that? Here me out though. As artisans ourselves, we should support other artisans when and if we can, even when they are international companies. 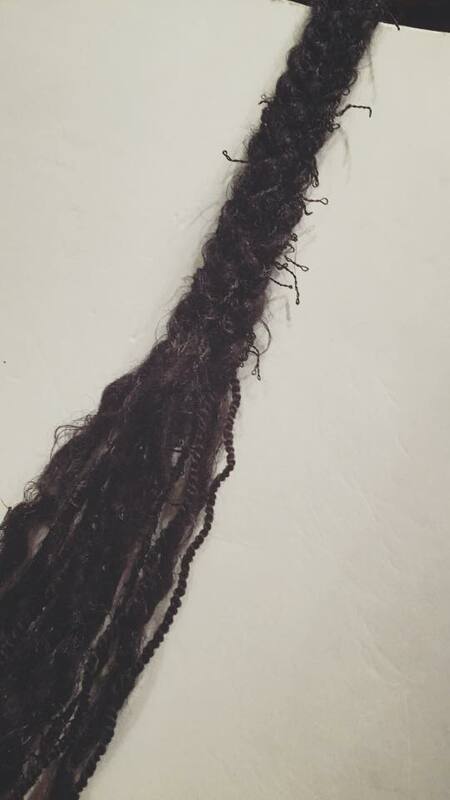 A piece like this can last you decades and is an heirloom. So, yes, I’m all about supporting that. It’s slow fashion in its highest and best form. Think about it: Assuming it took 10 total hours of work to make each scarf, that’s $40 per hour. That is a very reasonable rate to charge for highly skilled work. The workers deserve that rate and the quality demands it. Now the question is, do I blow up my SWAP plans to make room for this potential addition to my closet? I’m thinking yes! Though I’ve been sewing for a while now and count it as my favorite hobby, I have actually been crocheting for much, much longer. As in 30 years. It was the first hand craft I picked up and I’ve done it off and on over the years. I finally put it down in favor of sewing because I wanted to focus on garments. With a moderate wool allergy, making a closet full of glorious wool sweaters just wasn’t the best option no matter how much I loved the yarn. That black trim is sooooooo cool! That got me thinking about doing something a bit less traditional on my jacket. I tried finding some trims online but I kept going back to that crocheted trim on the white jacket in the video. It really just looks like a simple treble crocheted band made with leather cord. Not wanting something quite that wide for mine, I started noodling about how I could use the yarn I bought to make the braid and create my own interesting crochet trim. That’s when I found this! Skip to 9:15 for to see the magic. It’s basically just a bunch of rings connected by double crochet rows that are then intertwined. It gives a stunning effect but is dead simple. It has tons of texture and interest but could be quickly done up in no time and it’s something I can easily take with me on the train. By missing yarns, I can add even more depth and interest. It might be time to dig up my old crochet hooks! It’s a drab Tuesday here in the Windy City. The kind of day that would be perfect for sewing. Too bad I have to go to work (though I admittedly enjoy my job). This weekend was rough and I’m looking forward to thinking about things that bring me joy. Things like the annual Stitcher’s Guild SWAP! SWAP stands for “sewing with a purpose” and is basically an exercise in wardrobe planning. Usually I bow out of SWAP because the rules tend to skew towards neutral closets. Since my closet makes people’s eyes bleed because it’s so colorful, I usually can’t fit my style into the rules. Neutrals for me are any color that works across my whole closet so that ends up being things like golden yellows and royal blues rather than brown and greys. My SWAP plan so far is basically a bright nautical theme. I already have most of the fabrics for the pants in my stash which is how I came up with the color scheme. YASSSSSSSSS! This is SO my style. The bright pant, the patterned top, the blazer. Love, love, love. So with this as inspiration, I went for a really great business casual plan. The rules for SWAP this year are: Three packs A and B (a three pack being a set of three garments that work together) with a signature color, one two pack that incorporates the signature color from three packs A and B, and a Wild card pack with three garments of your choice. The wild card pack garments don’t have to work with each other but they have to work with the other three packs. Score again! This is exactly what I was envisioning. Something flowy and simple with nice long lines. I think this is going to be a great collection. Now if I can only get it all done in time! Time is always a huge issue for me but I’m hoping that with some planning and some stack cutting I can get it all done. What can I say right now? What can I say that hasn’t already been said or that doesn’t sound like some kind of sappy, trite, kumbayah crap from a privileged American? What can I say that won’t come off as a Hallmark card response? All I can say is the truth or my truth, rather. I am a traveler. 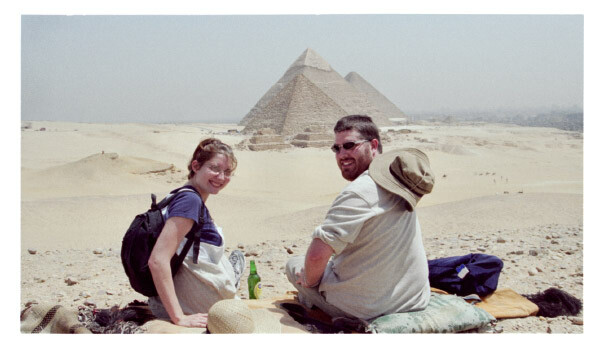 My husband and I were bit by the travel bug on our honeymoon when we basically said “F*** it all” and picked Egypt as our honeymoon location. Our families had one giant collective heart attack. At 21 and 24, we had never left the country on our own and even the very few times we had, it was with family or through school. But we thought this was our one chance to see something amazing so we went for it and it was, in fact, amazing. Going to Egypt opened our eyes to the fact that there is so much in this world to see and experience and appreciate. It made both of us realize that what we are presented with here in the states through media is usually nothing like reality. It’s like looking at another planet through a telescope. We can see it but only in the faintest of detail. Traveling there is the only way to understand it. So what does this have to do with Paris? Paris was our second international trip after our honeymoon. We spent a week there in 2002. We did all the touristy things and had a wonderful, albeit very American, experience. We went again seven years later with the spawn. We visited a few places we had loved the first time and found a few new ones. Still a very American experience but a little different this time. 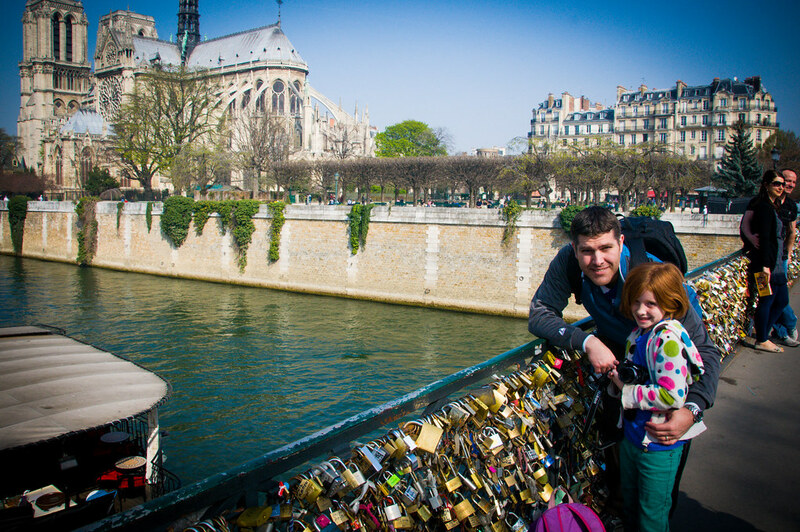 My husband and the spawn went there on their daddy/daughter trip in 2012. Then, later that year, my husband worked a major project with his company (which is a French company headquartered in Paris) and he ended up spending around three months there. 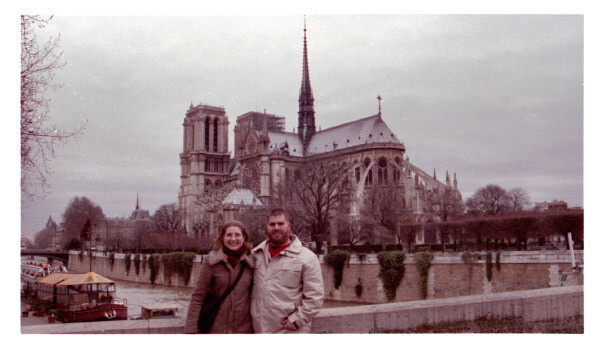 While he was there, something about Paris changed for both of us. It wasn’t the Paris we thought we knew anymore. It became something else. When went back again in 2014, he took us to a few of his favorite restaurants. We walked around in some of the neighborhoods he loved. He pointed out shops he would go to…places I NEVER would have found on my own. During that trip, we got stuck due to the polar vortex and ended up spending an extra 3 days. My husband was able to go to work at his company’s office so that left me and the spawn a few days to explore. This made it almost like two trips: a family trip and a trip with just me and spawn. By this point, we had done all the tourist spots several times over and were forced to basically walk the streets looking for something new to do. We passed by schools and office buildings. We kind of became aware of the fact that the buildings we were walking past were homes. Eventually, the iconic symbols of the city weren’t nearly as interesting as the everyday parts of the city. And, again, Paris changed even more. These days, Paris isn’t just Paris to me. It’s not a place on a map or a meme or a photo or a setting for a romantic movie. It’s a part of me. It’s a part of my husband. It has significance in my life. The tourist spots have faded away and now my memories are of getting a giant cotton candy at a carnival near Les Halles. Taking a moment to stop in for chocolates at Maison Georges Larnicol or honey at Fauchon. 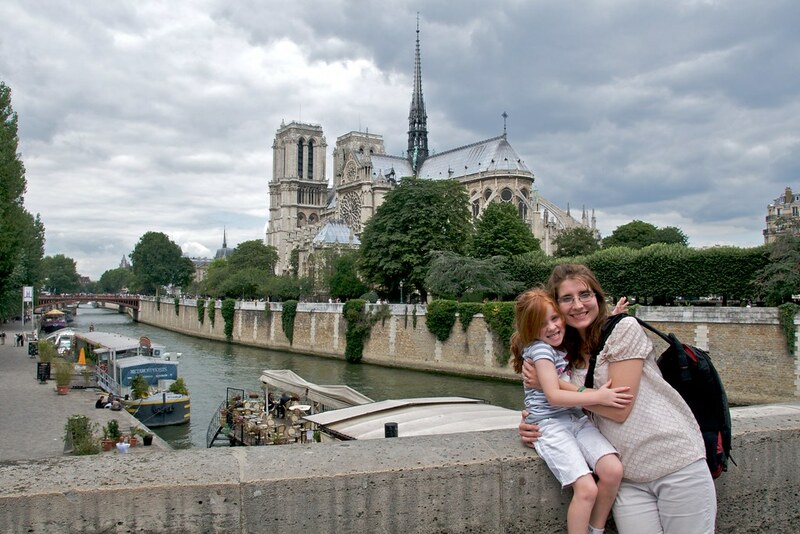 It’s of walking along the Seine with my daughter and being proud of ourselves when we found our way through the winding streets back to our hotel. It’s of dragging her to Rue Cambon to oogle Chanel and finding myself able to read the French menus without having to really think about it. Paris isn’t just Paris to me, now. Paris is…Paris. In my heart, though, I grieve. 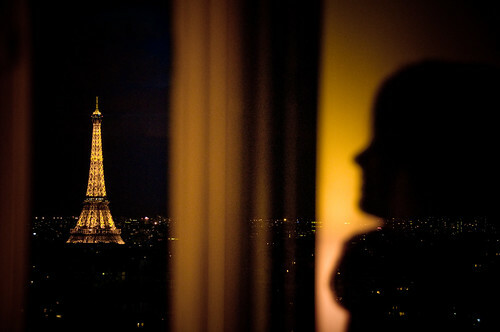 I cry with my Paris. I am angry with my Paris. And, with my Paris, I will rise up and say “F*** off” to the scum who did this. And I will go back to my Paris in a month and I will walk her winding, cobbled streets and I will eat her glorious food and I will soak in every ounce of life she gives me. I will return next summer along with thousands of other soccer fans for the EuroCup and I will soak it all in again. And I will do it because Paris is Paris now and I will fight for her with every fiber of my being. Love is in the air here at Cured Couture Atelier. Apparently, the spawn’s crush has a birthday this coming week and she has been trying to think of what to get him. Loot crate? Video game? Collectible action figure? Gift card? The options seemed endless to show her undying puppy love. I had to make a pit stop at Joann’s on Saturday night to pick up some thread for my French Jacket project ( which really needs a name) and dragged the spawn along mostly against her will. She generally hates going to look at fabric with me because I have a tendency to look at ALL.THE.FABRIC. She begrudgingly agreed to go as long as we could look at fabrics for her “Spring Fling” dress. 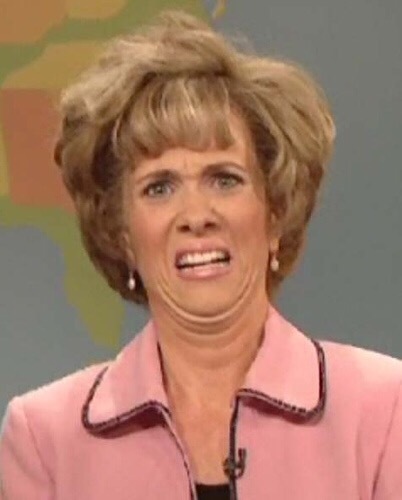 The Spring Fling is basically the 6th grade prom soooo, yeah. I have THAT coming down the pike. Anyway, while wandering the aisles looking at frou frou fabrics, we found ourselves over in the licensed fleece aisle. 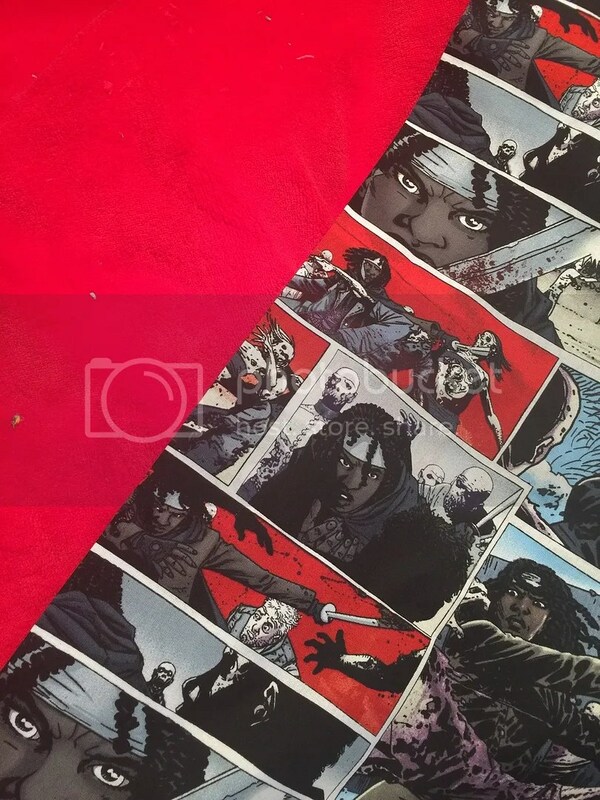 Low and behold, there in the character cottons was a Walking Dead themed broadcloth with Michonne in various states of zombie attack. Near by was a blood red plush and an idea was born. I mean, really. What better way to say I love you than with maiming zombies?! To be fair, we are a Walking Dead household and we all watch it every week (including spawn). She has a really high tolerance for gross/scary. I remember showing her Poltergeist last year which scared the bejeezus out of me when I was her age. She wasn’t even phased! I was too busy covering my eyes during the stairwell scene to give her a retort. So, she’ll be making her one true love a zombie blanket. Awwww. So precious. As I mentioned, I had to go to Joann’s on Saturday to pick up a few things for my French Jacket namely some basting thread and some pearl cotton. Silk twist isn’t exactly all over the shelves around here so I had done some online digging and found out that some people used pearl cotton as their button twist thread. My jacket is black so I knew I could find that at the store and give it a go. Thankfully, I spent hours and hours and hours and hours fiddling with embroidery when I was growing up and all of those cute Peter Rabbit embroidery projects are finally serving me well. Handsewn buttonholes really amount to a very closely done daisy chain stitch. You stick your needle through the fabric, wrap the thread around the needle and then pull the needle through which draws the loop tight. The result is a satin stitch with a small ridge along one edge. It’s tough to see in this picture but it’s there. One tip that I learned from watching a few bespoke tailoring videos on YouTube is to pad the stitched with another piece of thread. 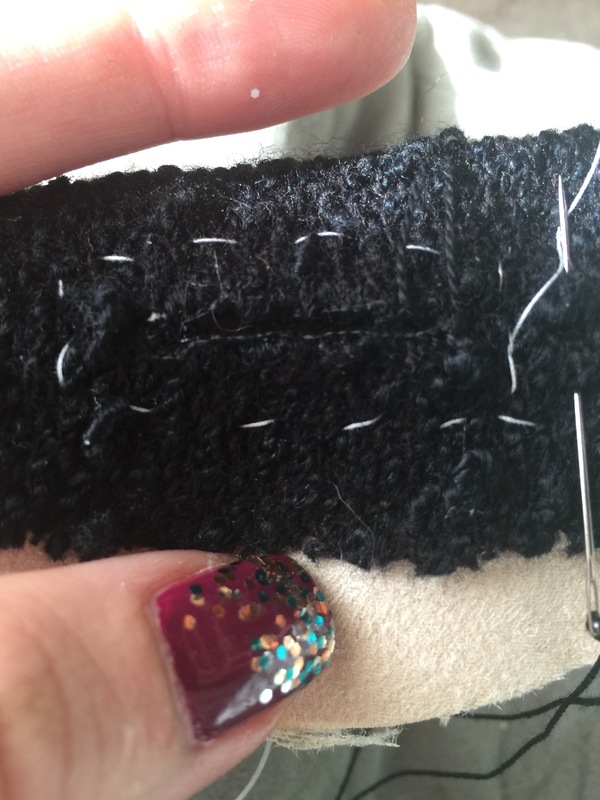 It keeps the stitches from getting buried in the boucle and gives the stitches more definition. If you look closely you can see that my bottom stitches are a bit easier to see than my top ones. That’s because the bottom row is padded. It’s a subtle difference but I think I’ll be preparing all of my buttonholes this way. In fun news, I took Wrap of Khan on its maiden voyage today and it’s proving to be an amazeballs coat. We have 40-50 mph winds racing through Chicago right now and it blocked everything. The Kirk collar was the perfect cover for my ears. The ship will definitely be out of danger this year! These are high times to be a nerd. HIGH TIMES!!!!! I am still reeling from the newly released international trailer for Star Wars: The Force Awakens. My heart soared when they announced this week that there is going to be a new Star Trek series. And the posters for the new Fantastic Beasts movie look amazing!!!! SO MUCH NERDERY!!!! I can’t even right now you guys! Every time I watch one of the Star Wars trailers I have to fight back the tears of sheer joy. I know not everyone loves JJ Abrams (especially the Star Trek fans) but I really love what he did with the last two Star Trek movies and some of the shots in these Star Wars trailers are just to die for. December can’t come soon enough!! I mean…just look at this!!! What else am I nerding out on? Why my newly delivered black boucle fabric that is destined for sewing room glory as a couture French jacket, of course! I cannot wait to get started on this. I’ve been wanting to make this jacket since I saw the Little Black Jacket video on YouTube. Anyone else remember drooling all over this gem when it came out? 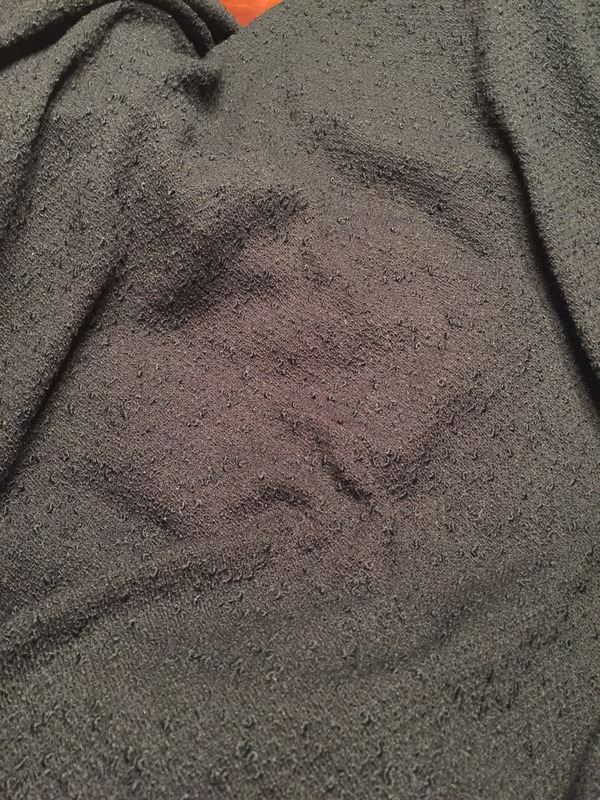 I picked up this perfect black boucle fabric from Gorgeous Fabrics and I am in love with it! It’s lightweight but really textured. When I saw it my heart grew three sizes because it’s exactly what I’ve been looking for. After I bought it, I ran over to the local fabric store to look for some yarns to make my braided trim with. I’m still testing out ideas but I found a few fun novelty yarns in addition to a lovely alpaca boucle. Thanks to some YouTube videos on how to make challah bread, I learned how to make a 5 strand braid. I really liked what I initially came up with though I think it could be just a tad wider. 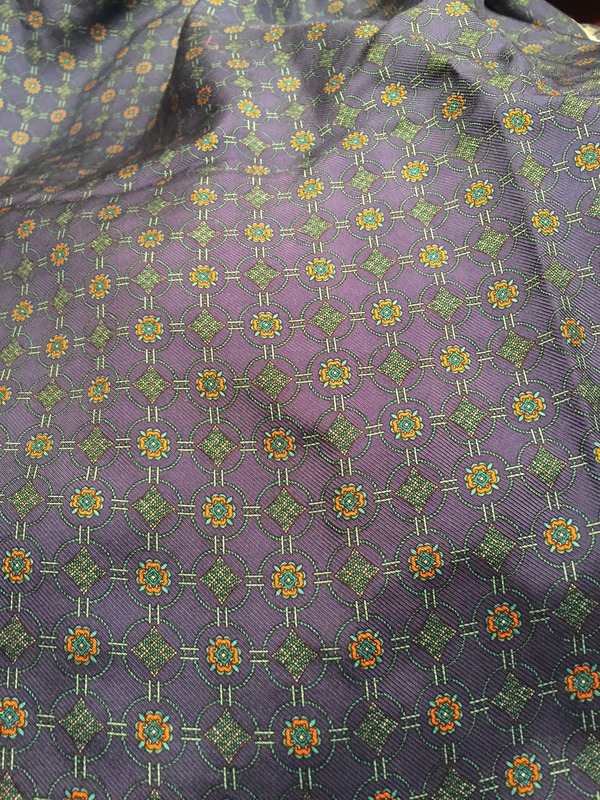 As it happens, I have some silk twill fabric that i got in Paris three years ago that will be perfect for a lining fabric. I had picked it up intending to make a blouse out of it but never really got around to making it. I’m glad I held onto it because this will be a very fitting use for my French fabric find. It’s been a long week and I am exhausted. I work for an international charity and September to December is our busiest time. Then there is taking care of the house and all of the spawn’s school events and working around the husband’s extensive travel schedule…It’s taking a lot out of me but it’s nice to know I have so many beautiful fabrics to come home to at night and snuggle up with. In the midst of all the Wrap of Khan excitement, I did find the time to whip up this really fun vintage style nurse’s cape for a woman here in my village (yes, I live in a village) who was dressing up as a WWII era nurse. 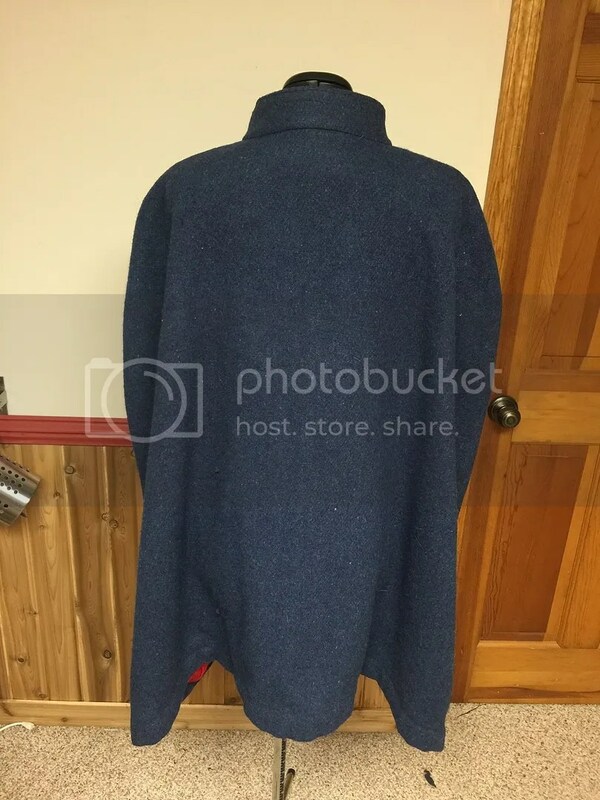 She had a very specific idea of what she wanted: a navy blue wool cape with a standing collar, a bright red lining, and at a length that hit just below her hip line. Being that she was on a bit of a tight budget, we had to get creative. I was contemplating making it out of a heavy fleece to keep her in her budget but I just wasnt happy with the fabric choices. Good quality wool coating was out of her price range though so it was a conundrum. That is until someone on Stitcher’s Guild had the AMAZING idea of repurposing a military blanket instead of buying yardage. Best idea ever! 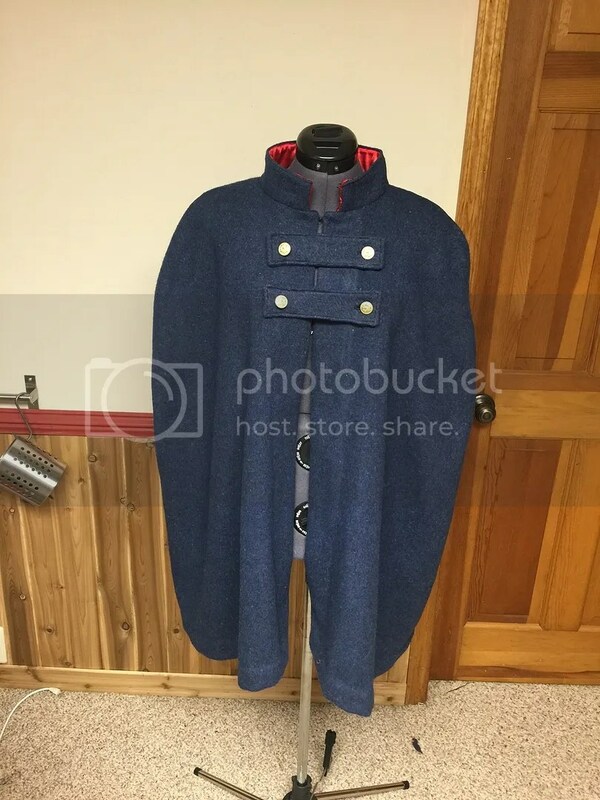 I was able to score a large, very thick, 70% wool military blanket for $25. At 60X80, it had more than enough yardage to bust out a cape. The only problem I ran into with this project was finding a pattern on sale! 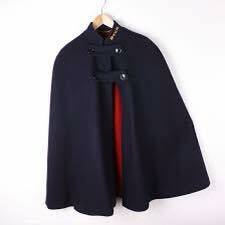 Turns out vintage style cape patterns aren’t exactly easy to find. 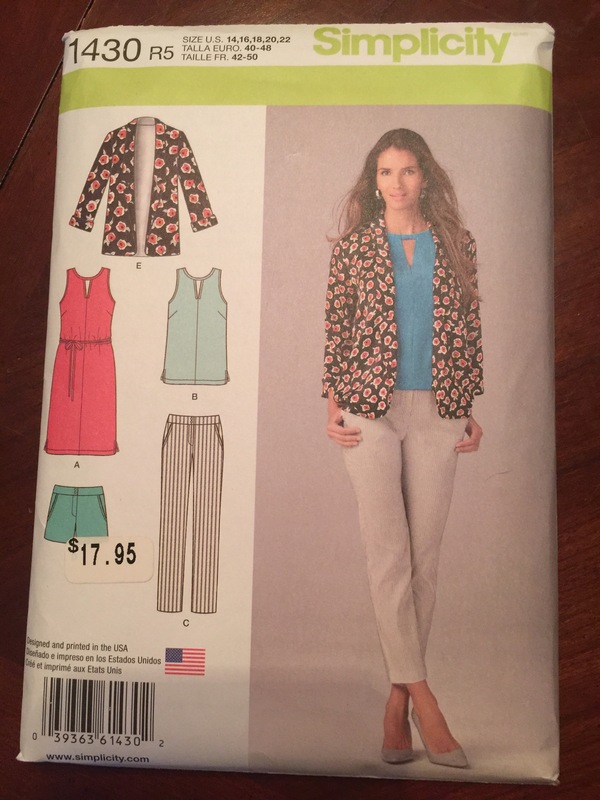 My best bet was the Frozen inspired patterns by McCalls but I goofed and totally missed the McCall pattern sale at Hancocks by 1 day. In the end, I drafted my own pattern by laying a fleece pull over onto some tracing paper and marking the neckline and shoulder line and then dragging a line diagonally to meet up with the horizontal line I marked for the length of the cape. I prepared the wool by following the “Steam the Heck Out of It” method detailed on Diary of a Sewing Fanatic’s blog post “Prepping Wool Crepe.” It worked out great and softened up the stiffish wool that had clearly been treated with SOMETHING. I dont know what it was but it smelled like gasoline. 😐 Once I had the wool prepped, I was ready to cut the cape. 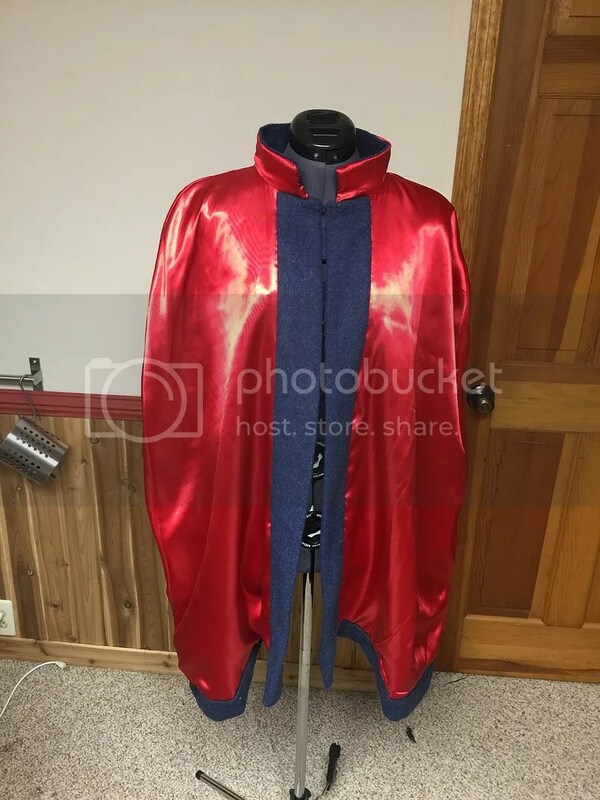 Thankfully capes are pretty straight forward so it was just a matter of cutting the back, front and a large rectangle for the collar and four rectangles for the closures. I repeated the process with the lining fabric. I adjusted the shoulder line somewhat as I sewed because it came out way too rounded initially but all in all I think it ended up turning out great! I kept the collar soft by interfacing it with a scrap piece of wool instead of interfacing and I lined the collar with satin rather than another piece of wool to keep it from being itchy on the neck. The addition of gold metal buttons was a nice touch and the 70% wool kept my client warm all night long at her Halloween party!